Daniel, he fell asleep during his first ever bath, at the hospital. Nowadays there is too much splashing and pouring to do, and he is always reluctant to get out. 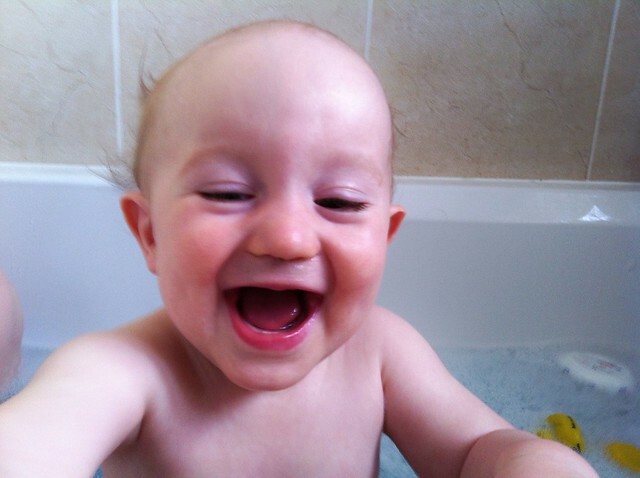 Joshua, he screamed during his first ever bath. 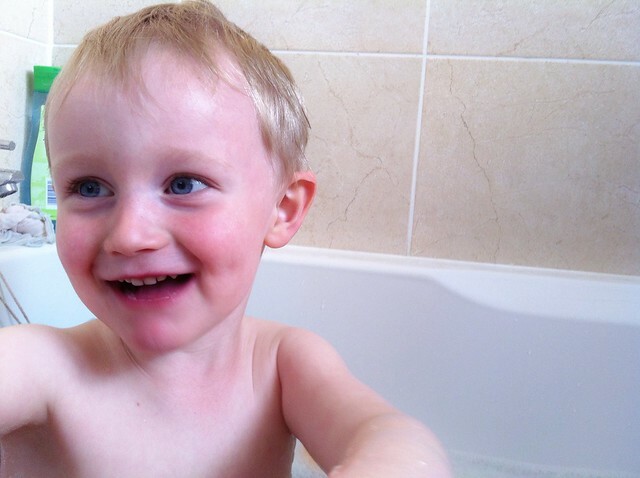 Luckily being in the water has grown on him, a lot, because baths are part of our bedtime routine!